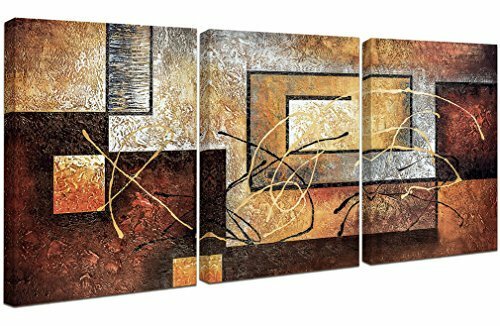 Home Art Contemporary Art Abstract Paintings Reproduction Giclee Canvas Prints Framed Canvas,Ready to hang. In stock. The measurements of each frame are 12" W x 16"H. Stretched on durable wooden frame and ready to hang.No additional fram required. Size: The measurements of each piece is 12" W x 16"H(30x40cm) total 3 pics.The image is just for displaying not for scale,pls measure your place before purchase. If you have any questions about this product by Phoenix Decor, contact us by completing and submitting the form below. If you are looking for a specif part number, please include it with your message.